Samsung coming up with a WP7 version of the Galaxy S II? After creating a furor in the Android world with the Samsung Galaxy S2 – it seems Samsung wants to use the same form factor to another platform. Rumor has it that Samsung are working on a top end, power packed phone which shall be running the latest edition of Microsoft WP7. The suspicion comes from a Bluetooth SIG certificate, issued to Samsung i937. 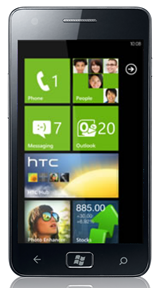 Seeing the profile of the smartphone it’s obvious that it’s a WP7 device besides the name has already surfaced through occasional Gamers list of Windows Phone 7 handsets. The move to Windows Phone would also require the Galaxy S II chipset to be replaced with a Qualcomm Snapdragon, but those are quite capable too so it’s no big deal. This is certainly exciting news, the power packed hardware with the more refined Mango edition of WP7 shall certainly give some competition to Android and iOS.